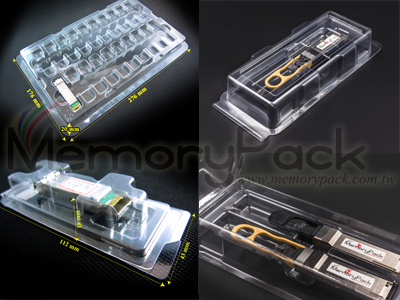 Transceiver packaging plastic box clamshell gbic sfp sfp plus xfp xenpak x2 Need samples? A transceiver in simple terms can be defined as a device that comprises of both a transmitter and a receiver of analog or digital signals. Radios and telephones are some of the devices that use transceivers. Network transceivers are used in specific networks like LAN to transmit signals. only responds to an incoming signal or command. Transceivers come in three configurations; the chip, board and module style. The chip style is portable and the smallest optical transceiver available. are not directly installed in the network system. its use is phasing out and todayit is mainly used in radios. is that the transmitter and receiver need to work on different frequencies in order to avoid collisions between transmitted and reception signals. Gigabit network equipment can connect to single mode ports, multimode fiber ports and even copper wires. GBIC is also hot pluggable which enables connection modifications. SFP: SFP in full is Small Form- factor Pluggable. They are also referred to as mini GBIC due to their similarity in function to the GBIC transceivers though smaller in size. SONET/SDH Network, Gigabit Ethernet, and High-speed computer links among others. 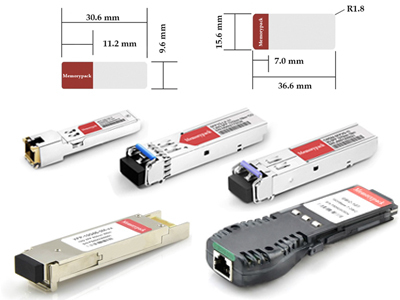 are currently the cheapest and the smallest transceivers. come in three types which include; Xenpak 10GB SR, Xenpak 10GB LR and the 40km Xenpak 10 GP ER.